Accent your home office or living space with this casual bookcase. Crafted with a beautiful cappuccino finish, it is designed in a ladder-like style, allowing you to safely lean it against any flat wall surface for a unique room accent. There are five shelves in differing widths with back guards, offering plentiful storage space for books, decorations, and more. 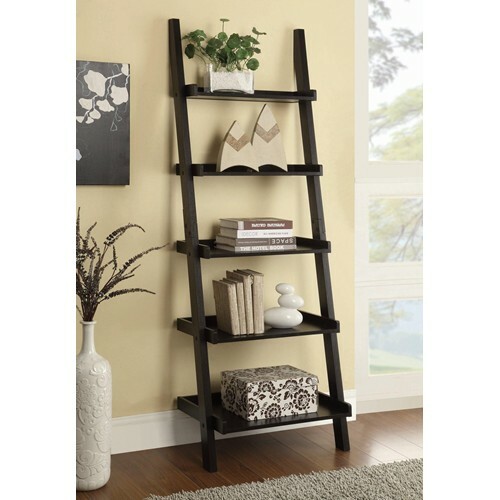 Bookcase size: 25 x 16.50 x 72.